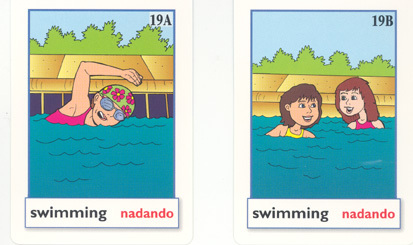 Each of the 52 cards in this set shows one or more nouns performing a common action such as eating, running, or drinking. Teach singular and plural noun forms, present tense verbs, "is" and "are," use of the present progressive, and other structures with the 52 multi-purpose picture cards in this set. 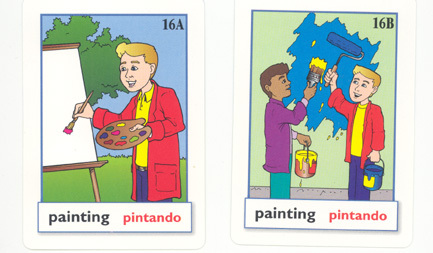 Verbs are shown in English and Spanish on the cards.